A volume of visions of future wars, fought with weapons out of nightmare, by today's top writers of military science fiction, as well as some writers who are not usually associated with military SF, such as best-selling writer Gregory Benford, and award-winning author Kristine Katherine Rusch. Also present are Michael Z. Williamson, author of the strong selling novels "Freehold" and "The Weapon," award-winning author of "Bolo Strike," William H. Keith, and more. Through the centuries, weapons have changed radically, but the soldier has remained much the same. But in the future, soldiers, too, may undergo radical changes. 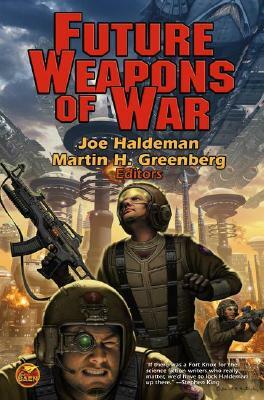 As editor Joe Haldeman puts it, "Weapons are an extension of the soldier, and also an extension of the culture or species that produced the soldier. And they are sometimes more dangerous to the soldier than the enemy. . . ."